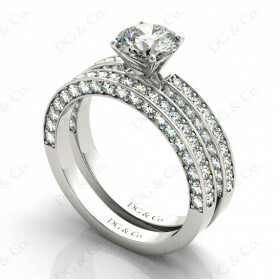 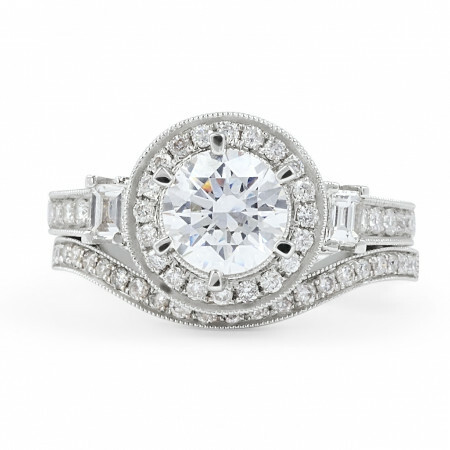 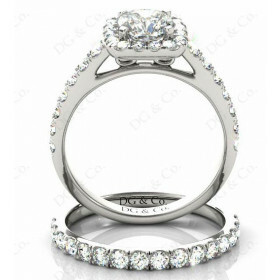 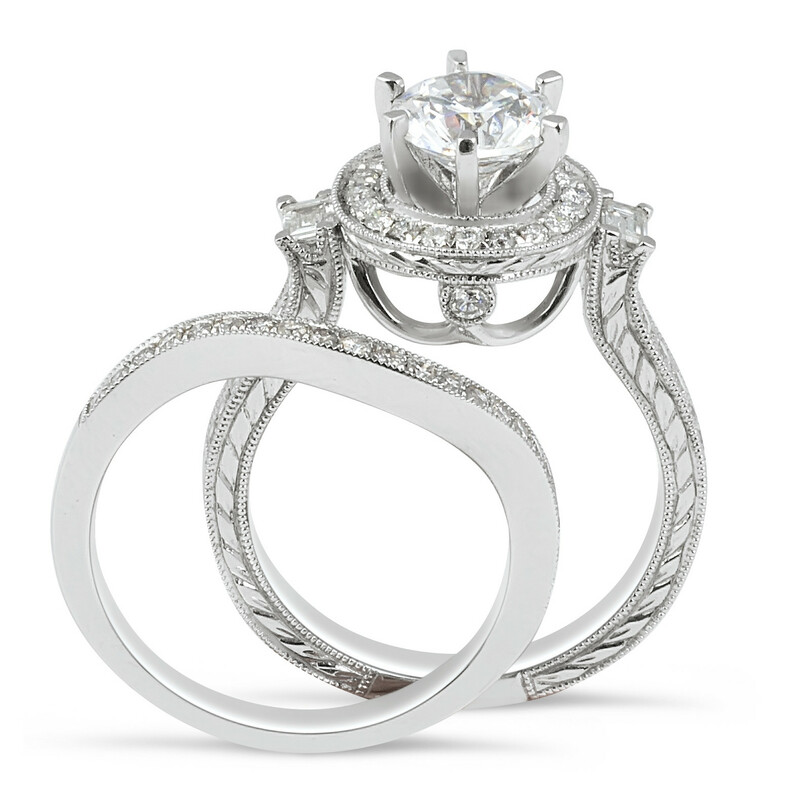 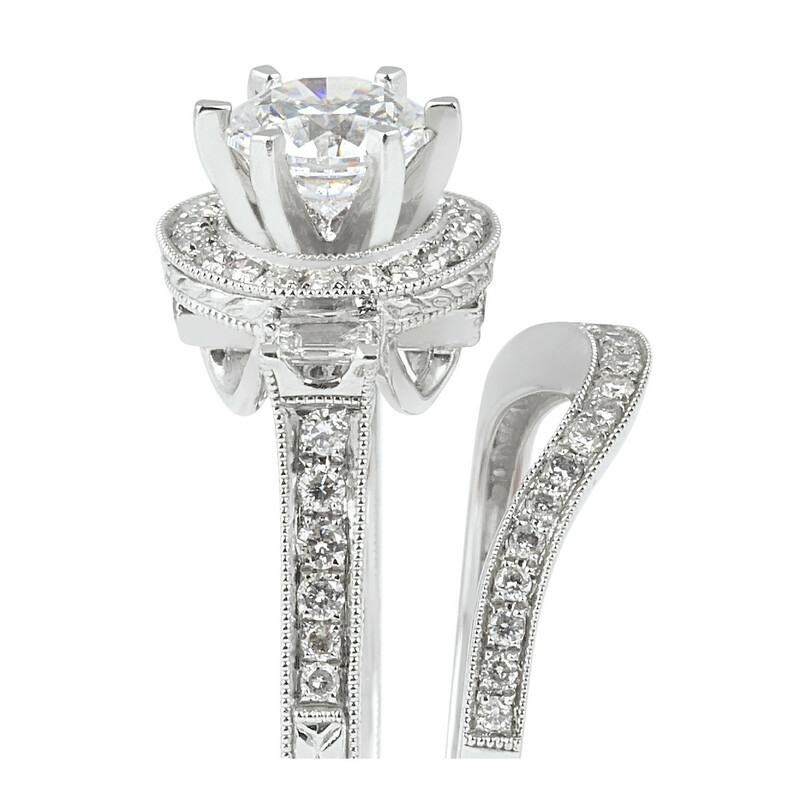 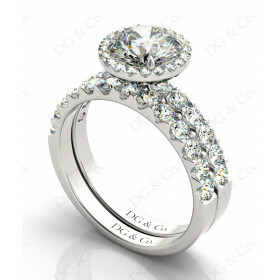 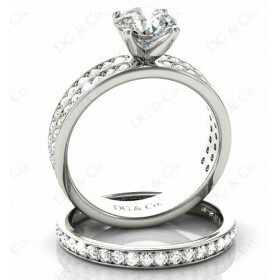 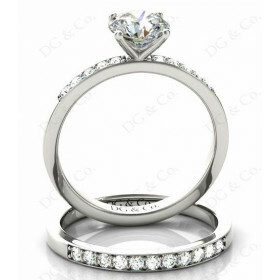 This Original Art deco Wedding set rings set with brilliant cut diamond 1.00 Carat E color SI clarity GIA certificate in six claws setting in the centre and 2 Baguette diamond on the side and fifty-six round pave setting around the centre stone and in the wedding band . 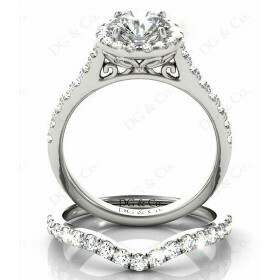 This Original Art deco Wedding set rings set with brilliant cut diamond 1.00 Carat E color SI clarity GIA certificate in six claws setting in the centre and 2 Baguette diamond on the side and fifty-six round pave setting around the centre stone and in the wedding band . 100% Eye Clean Ball Of Fire.